Arrival at Camsell was no less traumatic: “The bathroom seemed very large. A nurse all in white was taking my clothes off and making me stand in a shower. I think this was my first shower experience. I was crying and she said, ‘shut-up’ and banged my head against the wall of the shower. I remember the smell of the bathroom, the large bars of Ivory soap.” Another of McDonald’s memories of Camsell involves being awakened in the middle of the night by a siren, by shouting and people running, and not knowing what was happening. A head-count on the lawn revealed someone was missing. McDonald recalls a nurse using the scissors to cut the cloth bonds that tied her to the crib and carrying her out where the rest were gathered. Yet, her experience was not unique. 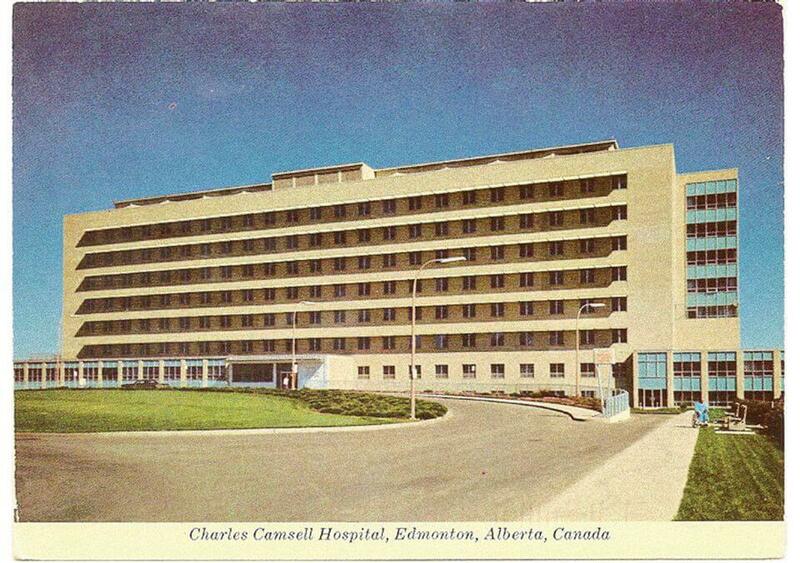 Camsell was one of 22 segregated hospitals in Canada, created not so much to help the Indigenous population, as to keep them separate from the white community. Established on racist assumptions, it’s not surprising that these hospitals were poorly staffed and underfunded. While residential schools— with their death-rate of 40-60 percent—are now widely acknowledged as a horrible stage in a slow-motion genocide, the story of the socalled “Indian hospitals” has been largely ignored. And yet, their legacy continues in today’s health care system. Were it not for this ongoing racism and colonial legacy, for instance, Brian Sinclair, a 45-yearold Indigenous man and double-amputee, would not have died in his wheelchair in a Winnipeg emergency room in September 2008 after being left unattended for 34 hours with a kidney infection that could have been treated. Systemic racism is no stranger to Canada. British Columbia, my home, not only spearheaded the evacuation of thousands of Japanese-Canadians during World War II, but also gave enthusiastic support to the Chinese Head-Tax and the refusal to allow the Komogatu Maru to dock in 1913 in Vancouver harbour, sending it back to Hong Kong with its cargo of Sikhs and their shattered dreams of immigration. B.C. was also quick to follow suit when its neighbour across the Rockies passed the Alberta Sterilization Act in 1929, both provinces paying doctors to perform involuntary surgical procedures, a disproportionate number of them done on Indigenous men, women and girls. The provinces were in tune with the federal government, which turned away the St. Louis and its shipload of Jews fleeing the Holocaust, because someone in the Ottawa bureaucracy thought one Jew too many. Treaty 7, signed between the Crown and First Nations in Southern Alberta in 1877, came with no promise of medical assistance—not even the standard clause of a medicine chest, which had been included in earlier treaties. Neither did Treaty 8, which covered Northern Alberta, B.C. and part of the NWT. A secondary report by Indian Commissioner David Laird promised that “supplies of medicine would be put in the charge of persons selected by the Government at different points, and would be distributed free to those of the Indians who might require them.” Laird and his contemporaries assured aboriginal signatories that “the government would always be ready to avail itself of any opportunity of affording medical service,” although these promises were not written into the treaty itself. The federal government would pay little attention to the health of aboriginals for decades, eventually downloading the responsibility to the provinces. Eventually, staff realized she wasn’t improving and put her in a room next to her mother’s. Able to see her mother through a window in the wall that still separated them, she began to heal slowly. More than once, a kind nurse would wrap her frail body in a blanket and sneak her in to cuddle with her mother. Bedridden for so long, she forgot how to walk and had to learn all over again. Among the many Camsell photos in Meijer Drees’ Healing Histories and in the federal government’s archives, there is one that touches me deeply. It shows 11 children, aged two or three, in white gowns arranged on benches by a nurse wearing a facemask. The two in the front row wear moccasins, another child is missing a shoe and a third is sucking her fingers. Collectively the photograph does not depict a single mood, such as fear or anguish or pleasure—though the children are anything but animated. Yet, knowing how children need the love and affection of parents—and how their health and immune systems can plummet without this special care—the photo sends a shiver down my spine. Many of those toddlers—if they even made it through their hospital ordeal— were not sent home, but shipped off immediately to residential schools, where their chances of survival were sometimes as low as 60 percent. Those promised reforms, of course, did not come. Lux tells us that Chief Long Lodge, whose people had been forcibly removed from Fort Walsh in the Cypress Hills of southern Saskatchewan and were sick from starvation, put the matter bluntly: “I want no government medicine. What I want is medicine that walks. Send three oxen to be killed and give fresh meat to my people and they will get better.” When the aboriginal population—albeit one that was devastated and drastically reduced in numbers—refused to disappear, residential schools and segregated hospitals were the next phase of the “final solution” that Indian Affairs (now Aboriginal Affairs and Northern Development Canada) set in motion. Forced sterilizations and drug and surgical experiments happened in many segregated hospitals during the two decades following World War II. Teeth were often removed without freezing and experimental drugs were administered that caused serious harm, or proved fatal. The causes of death were often falsely reported to authorities and loved-ones were not contacted. Sexual abuse was not uncommon, as many testimonies at the hearings of the TRC confirm. One friend told me an orderly raped her at the Nanaimo Indian Hospital while her upper body was encased in an iron lung. Much of the fear that Indigenous people have of doctors and hospitals today derives from the horrendous experiences and racist attitudes encountered in these institutions. Four years of hospitalization, followed by residential school, alienated her from family, some of whom she no longer recognized when she returned to the reserve. “They groomed me for solitude,” she says. “I coped with the abuse by dissociation, closing off the emotions, being elsewhere when nasty things happened to me.” This dismal situation continued even back home, where her sisters tormented her for being too English and where the worst abuses learned in residential school and the segregated hospital had become an epidemic. implied in the treaties and to build a better, stronger, healthier future. We can start by making the records of all 22 segregated hospitals available. Canadians need to know what really happened in these hospitals—the sterilizations and the nutritional, drug, and surgical experiments. We also need to find out what was going on in that special day school on the Goodfish Lake reserve in Alberta where, from 1959–1963, 38 Cree children were isolated, taught nothing, allowed to watch TV all day, and subjected to excessive doses of polio vaccines, known even then to be contaminated with a carcinogen called SV40—a virus originating in the kidneys of the rhesus monkey used as a culture for growing the vaccines. Camsell would be a good, symbolic place to jump-start the reconciliation and healing process. After serving as a general hospital for the entire population from 1967–1996, it was abandoned because of asbestos contamination. It remained empty for decades, grew increasingly decrepit, and only made the news periodically, when vandals started fires or the building figured in the internet’s latest ghost watch.There was enlightened talk of renovating and turning it into housing for Edmonton’s homeless and low-income population, a large number of whom are First Nations individuals, but the locals objected. Instead, the city sold the building to a developer, who promised to turn it into condos for seniors and yuppies. Now that the asbestos has been removed, the city council could intervene to realize that earlier dream. Harold Cardinal wrote many years ago in The Unjust Society that equality of health or education services is not enough: “We aren’t starting on equal grounds. Equality of services doesn’t mean a thing to people who are so far behind they can’t even see the starting line. It just means we would remain that far behind. That’s not good enough. We want to catch up. Then we can talk equality.” Cardinal, who was born in High Prairie, Alta. and grew up on the Sucker Creek Cree Reserve, wrote those words in 1969. Some 46 years later, we have still not taken them to heart. Between 1946-1966, nearly 97 Indigenous patients who did not survive Camsell, including 13 infants, were buried in the cemetery on the grounds of the former Edmonton Indian Residential School, located in nearby St. Albert. Their names are inscribed on marble slabs on four sides of a monument made of round stones set in concrete. On the top of the six-foot-high structure, between the stones, mourners have deposited tiny plastic toys and a small skipping rope. When I visit the site in late April 2015, a cold wind has blown a tiny, black, plastic car onto the paved surface. I pick it up and place it back on top of the monument, wondering about those who left it here. Before departing, I drive a few hundred metres to the new Poundmaker drug and alcohol addiction centre that now occupies the grounds of the former residential school. A stand of poplars in the distance is festooned with long, brightly coloured cloths. I ask a woman outside having a smoke what they signify. “They’re prayer flags,” she tells me. “When the wind blows, they flutter and the pain is carried off by the breeze. GARY GEDDES has written and edited more than 45 books and won a dozen national and international literary awards. His most recent works are Swimming Ginger, Drink the Bitter Root, and What Does A House Want? He lives on Thetis Island, B.C.